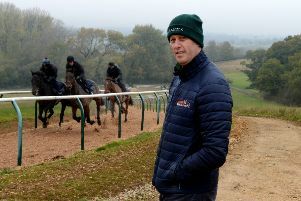 Paul Nicholls was bullish about the chances of Give Me A Copper at the lunch announcing the weights for the Randox Health Grand National on Tuesday and the gelding – who is owned in partnership by Sir Alex Ferguson – was the big market mover and is now halved in price at 25/1 with BetVictor from 50s for the great race. Note, the horse is 7/1 favourite at BetVictor (Non Runner No Bet) for the Ultima Handicap Chase on the opening day and he would escape a penalty for Aintree if winning at the Festival. The ground is good ahead of today’s card at Kelso where the feature race is the Morebattle Hurdle. Nicky Henderson has saddled the winner of the race twice in recent years with the brilliant but ill-fated Simonsig (2012) and Top Notch (2016) and We Have A Dream (2.25) in the same colours as Top Notch can give weight and a beating to his four rivals this afternoon. It is well documented that five-year-old hurdlers often struggle against their elders and the selection has not really hit the heights one might have expected from a dual Grade 1 winning juvenile. He has run well in defeat, however, and is no stranger to the Borders’ track having won at this corresponding meeting 12 months ago. I am a big fan of Aye Right (3.35) who has done us a few favours so far this season – won three of his four starts – and I feel he might be up to defying a 4lbs rise for winning at Ayr last time on soft ground. Today’s good ground is no inconvenience and I expect to see a bold bid from the front. Acey Milan showed the good form of the Anthony Honeyball yard when winning at Plumpton yesterday although he gave every impression that he would appreciate a step up in trip when stepped back up in grade. He is 40/1 at BetVictor for the Ballymore Novices’ Hurdle NRNB and remember he was the best British Bumper horse last term. Le Coeur Net (3.10) can give the yard another welcome winner at Fontwell returning from a three-month lay-off. The selection can go well fresh and is only 6lbs higher than when scoring – albeit a shade fortuitously – at Ffos Las back in November. There is a Grade 3 Novice Hurdle at Clonmel this afternoon and Swordsman (2.40) can return to winning ways having found things happening far too quickly back at the minimum trip last time. The selection is a full brother to leading Ballymore/Albert Bartlett fancy Battleoverdoyen (9/2 NRNB with BetVictor for the former) and is himself 33/1 with BetVictor for the Albert Bartlett. 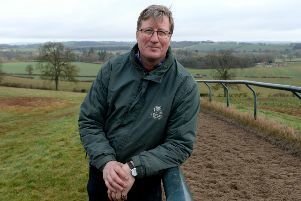 Today’s contest should tell us whether Gordon Elliot’s charge has any Festival aspirations – one thing’s for sure he should make a cracking novice chaser next term. The Meydan Carnival continues this afternoon and the star turn is the return of Blue Point (3.05) in the opening Group 2 Meydan Sprint over the flying five furlongs. The selection was beaten a head in the corresponding race 12 months ago but meets nothing of the calibre of winner Ertijaal today. Charlie Appleby’s sprinter went on to win the King’s Stand Stakes over this trip at Royal Ascot and a repeat bid is likely to be on the cards for mid-June. There is plenty of dead wood in the extended 9f turf event and Art Du Val (4.15) looks sure to appreciate the step up in trip having stayed on strongly when runner up in a listed event at Deauville when last seen back in October. The selection was a late withdrawal from a race here three weeks ago and his draw in stall 10 is a slight concern, but he remains a colt of some potential and he gets the vote ahead of Mark Johnston’s Victory Command. Poetic Charm (4.50) steps up in trip to 9f in the Group 2 Balanchine for the first time and she carries a 3lbs penalty for last month’s facile win in the Gp 2 Cape Verdi. She can be a bit keen in her races, is drawn out on the wing in stall six but looked an improved filly here last month and can confirm the form with Asoof and Furia Cruzada who finished runner up in this corresponding race 12 months ago.